For some of you it may come as a surprise that next year’s Literature and War Readalong contains only four titles, but I felt we needed a change. That’s why I chose only four books, from four different countries, focussing on three different wars. The list should appeal to those interested in international literature, books by prize winners, novels on international conflict, modern classics, books that have been made into movies and a lot more. 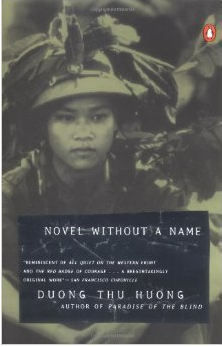 Novel Without a Name – Tiêu thuyêt vô dê by Huon Thu huong (Vietnam 1995), War in Vietnam, Novel, 304 pages. Vietnamese novelist Huong, who has been imprisoned for her political beliefs, presents the story of a disillusioned soldier in a book that was banned in her native country. A piercing, unforgettable tale of the horror and spiritual weariness of war, Novel Without a Name will shatter every preconception Americans have about what happened in the jungles of Vietnam. With Duong Thu Huong, whose Paradise of the Blind was published to high critical acclaim in 1993, Vietnam has found a voice both lyrical and stark, powerful enough to capture the conflict that left millions dead and spiritually destroyed her generation. Banned in the author’s native country for its scathing dissection of the day-to-day realities of life for the Vietnamese during the final years of the “Vietnam War, ” Novel Without a Name invites comparison with All Quiet on the Western Front and other classic works of war fiction. The war is seen through the eyes of Quan, a North Vietnamese bo doi (soldier of the people) who joined the army at eighteen, full of idealism and love for the Communist party and its cause of national liberation. But ten years later, after leading his platoon through almost a decade of unimaginable horror and deprivation, Quan is disillusioned by his odyssey of loss and struggle. Furloughed back to his village in search of a fellow soldier, Quan undertakes a harrowing, solitary journey through the tortuous jungles of central Vietnam and his own unspeakable memories. 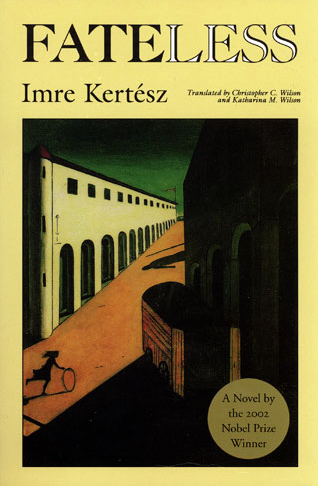 Fateless – Sorstalanság by Imre Kertész (Hungary 1975), Holocaust, Novel, 272 pages. The powerful story of an adolescent’s experience of Auschwitz by Holocaust survivor and Nobel Prize winner, Imre Kertész. 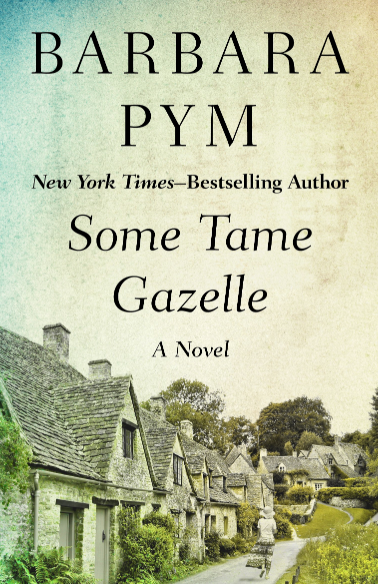 Gyuri, a fourteen-year-old Hungarian Jew, gets the day off school to witness his father signing over the family timber business to the firm’s bookkeeper – his final business transaction before being sent to a labour camp. Two months after saying goodbye to his father, Gyuri finds himself assigned to a ‘permanent workplace’, but within a fortnight he is unexpectedly pulled off a bus and detained without explanation. This is the start of his journey to Auschwitz. On his arrival Gyuri finds that he is unable to identify with other Jews, and in turn is rejected by them. An outsider among his own people, his estrangement makes him a preternaturally acute observer, dogmatically insisting on making sense of everything he witnesses. 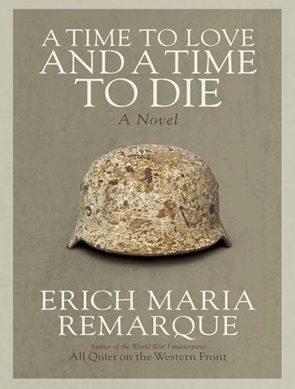 A Time to Love and a Time to Die – Zeit zu leben und Zeit zu sterben by Erich Maria Remarque (Germany, WWII, Novel, 384 pages. It’s interesting to note that the German title isn’t as corny as the English one. It means “A Time to Live and a Time to Die” not Love and Die. From the quintessential author of wartime Germany, A Time to Love and a Time to Die echoes the harrowing insights of his masterpiece All Quiet on the Western Front. After two years at the Russian front, Ernst Graeber finally receives three weeks’ leave. But since leaves have been canceled before, he decides not to write his parents, fearing he would just raise their hopes. Then, when Graeber arrives home, he finds his house bombed to ruin and his parents nowhere in sight. Nobody knows if they are dead or alive. As his leave draws to a close, Graeber reaches out to Elisabeth, a childhood friend. Like him, she is imprisoned in a world she did not create. But in a time of war, love seems a world away. And sometimes, temporary comfort can lead to something unexpected and redeeming. I will anounce each title with some additional information about six weeks before the discussion date. I hope you like the choices and will join me whenever you can. A slimmed down list of books for 2015 should be more manageable. I like the look of your choices, especially as I haven’t read enough about the wars in Cambodia and Vietnam. All Quiet on the Western Front/Im Westen Nichts Neues is one of the most compelling books I’ve ever read so I shall look forward to reading more from Remarque. I’m glad to hear ylou like the list. Twelve books was too much. It took a while to choose a Remarque novel but this is said to be the companion piece to All Quite. A WWII version, so to speak. I have read a few of his other novels. He’s written a really powerful Holocaust novel and a few outstanding inter-war novels. That’s great to hear. They are not too long and each of them offers something completely different. I’m looking forward to the discussions. Beautiful books, Caroline. I will be definitely joining in for the Erich Maria Remarque readalong. Kim Echlin’s book looks very beautiful. So that too 🙂 And maybe for the other two also! I have never read a book by a Vietnamese author before. Can’t wait. I can’t believe that the they changed the title of Remarque’s book – how can they change ‘live’ to ‘love’?? Thanks for shortlisting some wonderful books for next year’s readalong. I can’t wait to participate in the readalong and read them. The Remarque title changes is so weird. 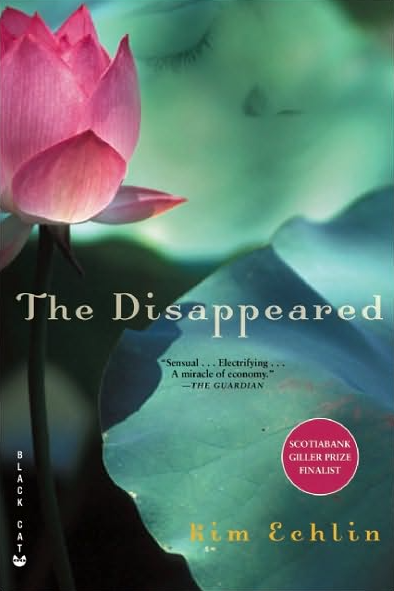 One of my favourite bloggers (Gavin from Page 247) who sadly doesn’t blog anymore recommended The Disappeared. I always liked her suggestions. A smaller list but a good one. I had a student years ago who was in a Cambodian death camp. Her parents were killed immediately. She told me that she knew her sister was dead when she was sorting clothes (of the dead) and saw her sister’s dress. Thanks, Guy. I had a Cambodian boyfriend whose grandparents were in a camp. He was born right after the war, so he escaped but the things he told me were awful. There are still mines everywhere. It didn’t really sink in at first. That’s an awful story. Imagine that. All’s Quiet on the Western Front is near the top of my TBR pile, so I’m interested to learn that there’s a companion piece. I won’t be able to join the discussion but I look forward to the comments, Caroline. All of his books are great. I actually think you’d love Arc de Triomphe. All Quiet is a great book but one of the hardest to read. I’m very curious to see how this will compare. These books look so good Caroline. I will try to join in with one or more of them this year. In the past, both your posts and others, as well as the comments and discussion on these books have been excellent so I am looking forward to reading these too. That’s great to hear, Brian. I hope you can join. I think these are some choices that should lead to interesting discussions. It’s good to have a shake-up and do things differently. You’ll have a lot more time for other reading with your reduced list. I’ll look forward to reading the discussions as always. It was too much but at the same time I didn’t want to give it up completely. I love the list too and will try to join in for most of the books! That’s great. I’m glad to hear it. I really like the breadth of this list, Caroline. These books will provide a very interesting perspective in relationship to each other. I just finished a novel set during WWII titled All the Light We Cannot See. Have you heard about this one? It was very moving. The story is told mainly through the POV of a blind French girl who flees Paris during the invasion and a German boy, an orphan, with a talent for wiring radios. I’m still processing the outcome. Quite a story! Thanks, Jackie. It’s a short list but quite diverse, I think. I’ve heard of the novel you mention. I was at the book shop and held that and Richard Flanagan’s “The Narrow Road to the Deep North” in my hands and then bought the Flanagan, which is very good as well. I’ve only heard good things of “ALL The Lights we Cannot See” and hope to read it soon as well. Glad to know it made such an impression. Always a good sign. I’m going to read Hungarian literature next year so I’ll probably join you for Fateless. It’s a book I’m not looking forward to read but one I feel I HAVE to read one day, like If This Is a Man. It would be great if you could join. I know what you mean but since it’s a novel it might be easier to read. 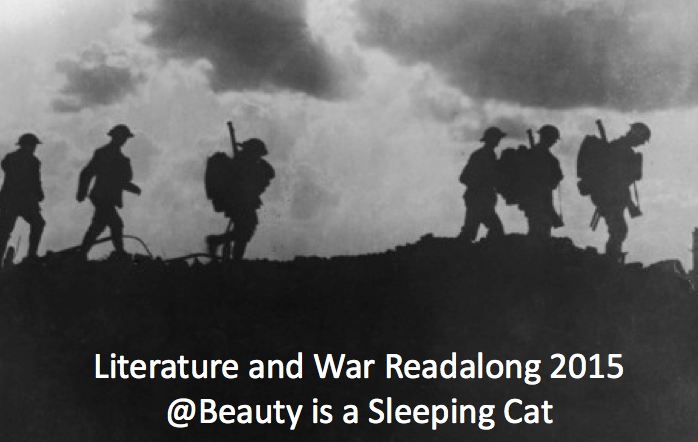 I’m so glad you are still going to do the Literature and War readalong this year, but also glad it will be fewer books–maybe I can actually read along with all of them this time! Looks like some interesting titles–I will be looking for them now in anticipation to reading later! Twelve books was great during the first two or three years but last year it was a drag. Four seems manageable. I might still read quite a few that would have been good choices but for myself which will aloww to read them more slowly. Richard Flanagan for example would have been a good choices but it’s so hard to read. I have to stop again and again. 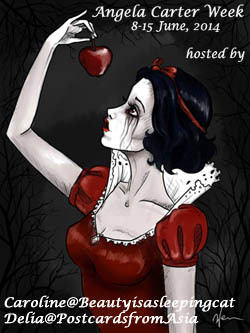 It would be lovely if you could join this year.